A chat between races – those were the days! 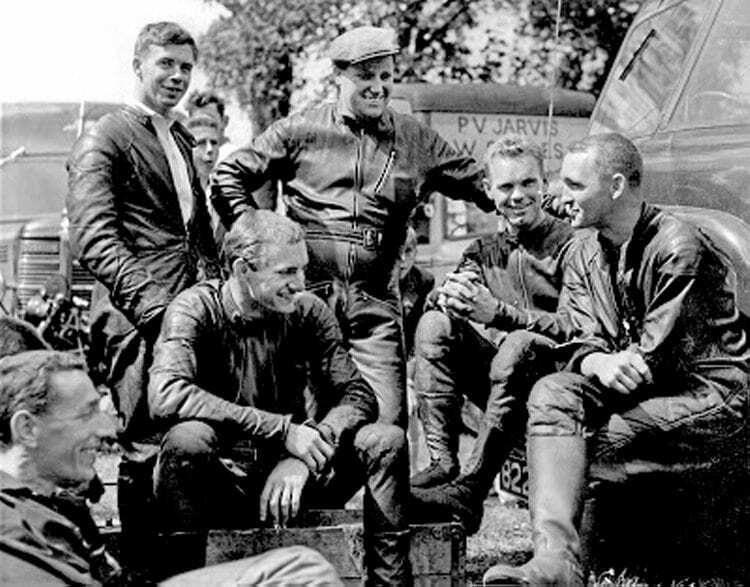 After reading the exciting news about the Eppynt road racing circuit in South Wales being used again, Vince Chivers sent us this great shot of riders in their dark leathers having a chat between races at what he thinks was Aberdare Park. He can identify Mike Hailwood, Ray Cowles and Dan Shorey, but wonders if any readers can help with the names of the rest. Read more News and Features in February’s issue of OBM – on sale now!